-For each 1 cup firmly packed light brown sugar called for in a recipe, use 1 1/2 tablespoons molasses plus 1 cup granulated sugar. -To make light brown sugar from dark brown sugar, use 1/2 cup firmly packed dark brown sugar and 1/2 cup granulated sugar. -For dark brown sugar, use 1 cup firmly packed light brown sugar plus 1 tablespoon molasses; or 1 cup granulated sugar plus 1/4 cup molasses. Thanks for the tip! I made your Best Brownies yesterday. Yummy!! Be careful, they are addictive! HAHA!! 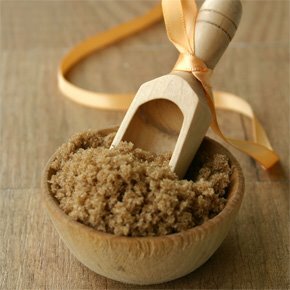 Question about the dark brown sugar substitute--I only have blackstrap molasses on hand; will that work? "Dark molasses: After the first boiling and removal of the light molasses, the syrup is boiled again, and the lightest liquid is drained from the top -- this is the dark molasses. It is much darker and thicker than light molasses, and the taste is less sweet. Dark molasses is generally used as a flavoring in American classics such as gingerbread, shoofly pie, indian pudding and boston baked beans. Blackstrap molasses: After the second boiling and removal of the dark molasses, the syrup is boiled a third time, and the thick liquid which remains is called bootstrap molasses, which are the dregs of the barrel. Bootstrap molasses is very dark, very thick, and almost bitter. Bootstrap molasses is rarely used in recipes." I found this information at http://www.recipesecrets.net/forums/ask-cooking-questions/26515-molasses.html. So just from reading this, I would not use blackstrap molasses. I suppose trying it once wouldn't hurt anything, as long as you are aware that it might not turn out too well!! hope you're still there, your recipe for dark brown sugar really helped me with a stevia molasses substitute in my 3-bean recipe. Yes, still here!! I am so glad that this helped you! I've had SO many "uh oh" moments when cooking when you realize that "uh oh" you don't have such and such ingredient!! I run to the computer to google a substitute!! Glad this worked for you! Thank you! Just what I needed to know! October 31- What to do?? Do you know where your purse has been? October is Clergy Appreciation Month!! !